New Zealand, land of astonishing natural beauty, landscapes that almost seem false as they are so incredible and unusual. Land of sensitive and unique flora and fauna, tatoos, the haka, sheep and cattle…and err interesting public toilets. You may think it strange that such a facility is to be featured on this blog for it’s design aesthetic, but it is a pretty strange sight. Travelling up to the northern tip of the country to a small town called Paihia, I noticed the small vibrant structure immediately. 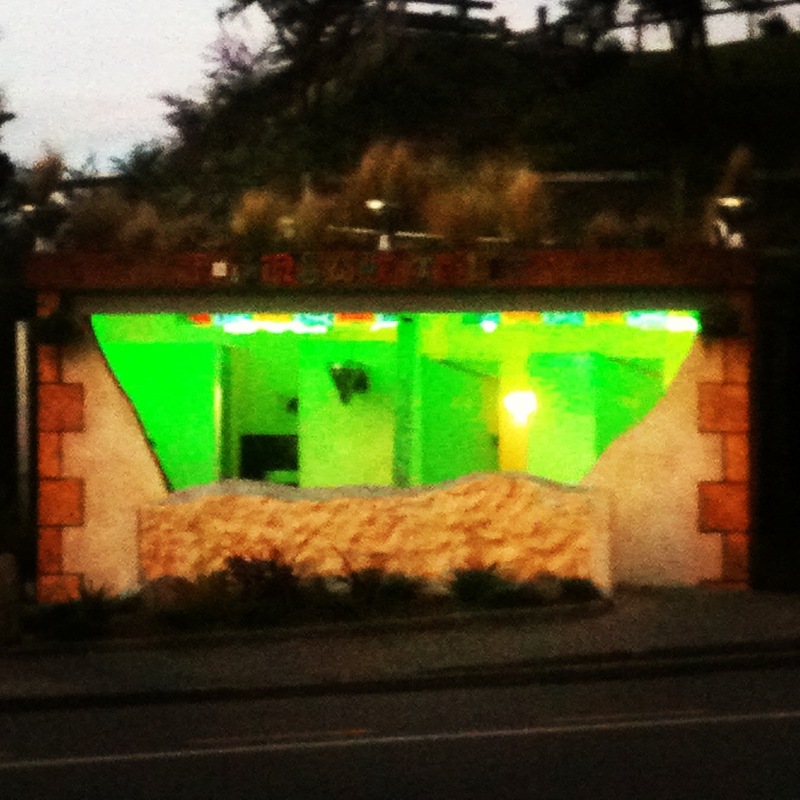 At first it looks more like a small brick a brack shop or a tourist vendor. 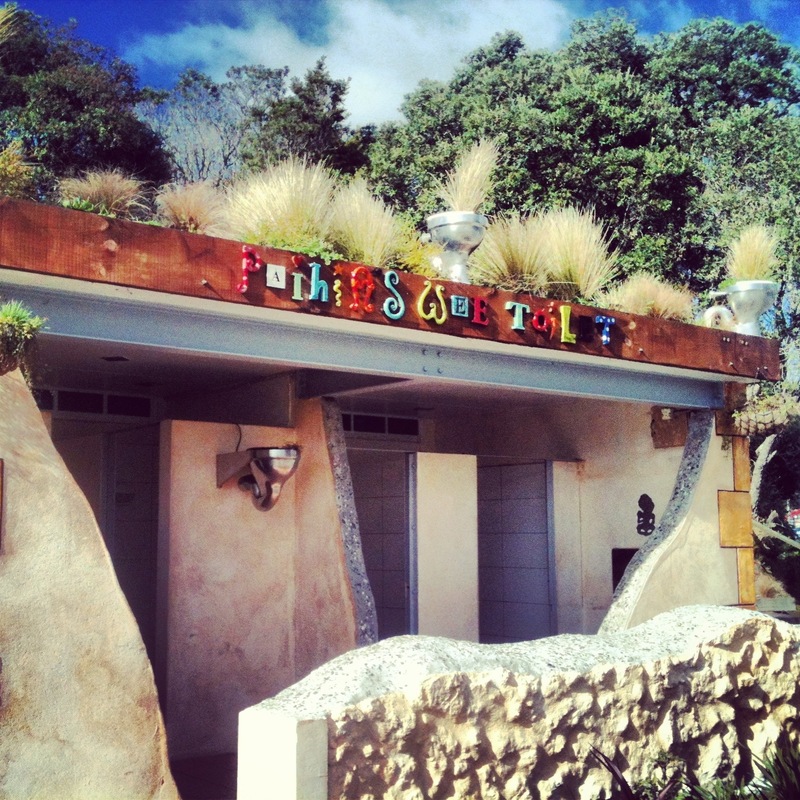 However as you come closer you will notice the sign written in multicoloured and individually styled letters reading the words “Paihia’s Wee Toilet”. 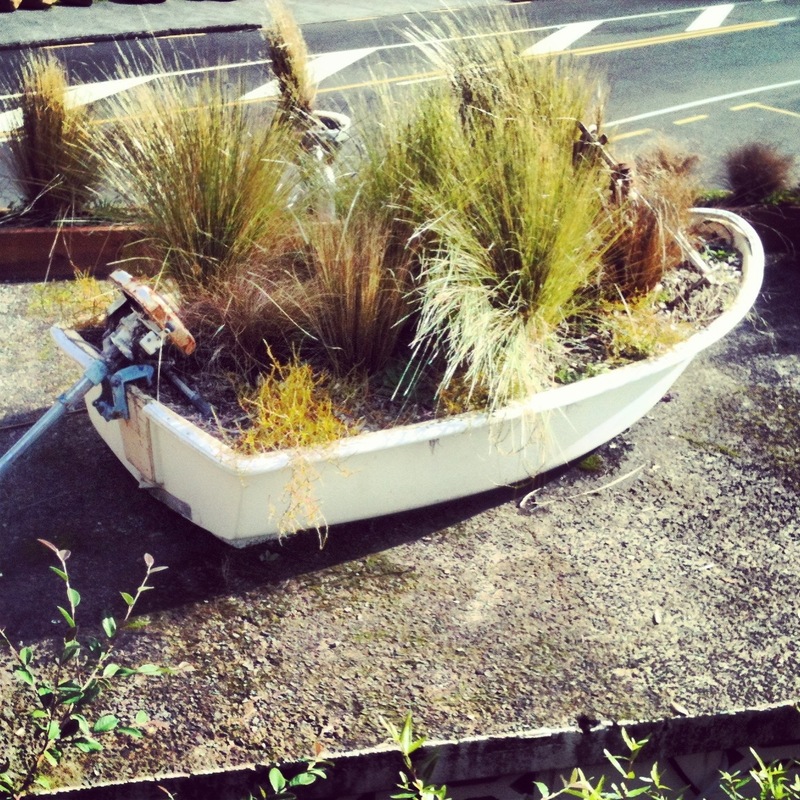 The small box like building is decorated with metal toilets that have been converted into plant pots. Long wild grass potrudes from the disused boat that sits on the roof. Wooden benches line the small coves, proving practical for waiting children. The sloping walls at the entrance allow for a degree of privacy while washing your hands while also welcoming in sunlight. 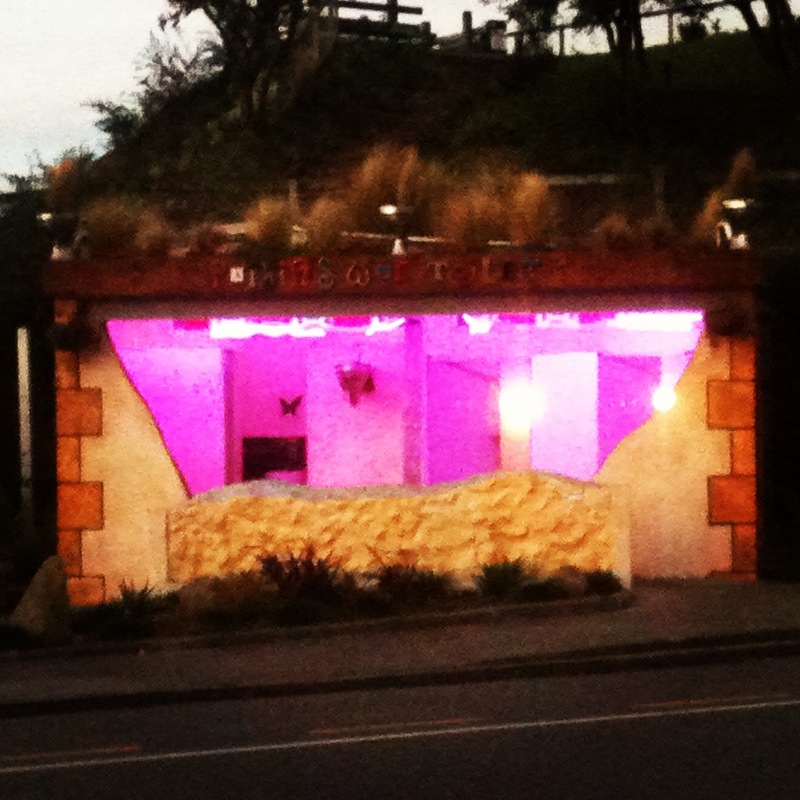 At night the public toilets light up in neon pink and green making it look even more inviting but also fooling some tourists into believing it is a silent dance venue. And who may be responsible for such an eccentric piece of architecture in the middle of a tiny remote town on the other side of the world – Hundertwasser of course. 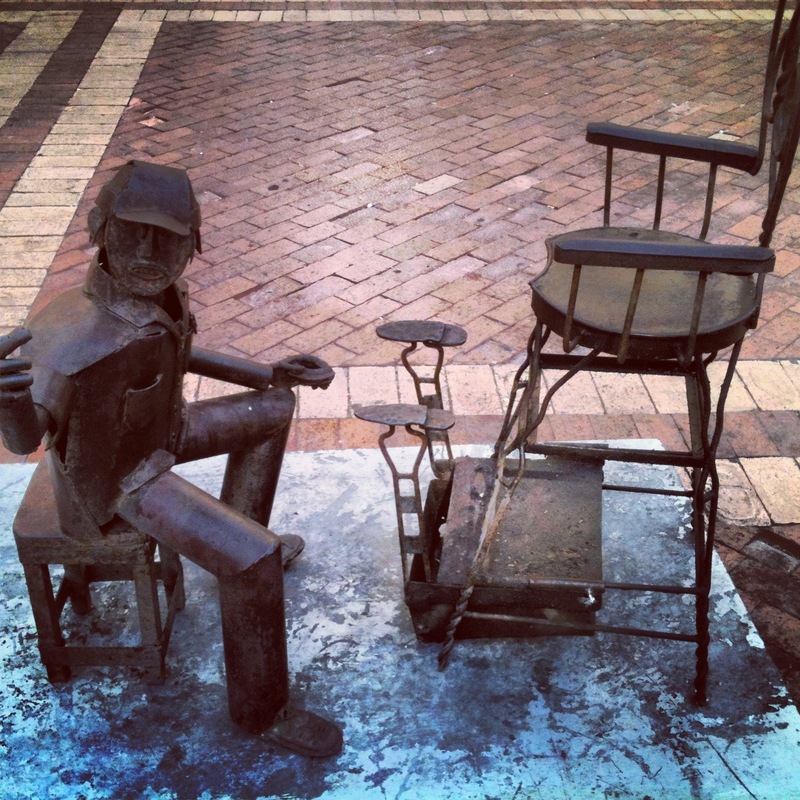 The eccentric artist and architect spent a considerable amount of time in New Zealand and although his contribution to Paihia’s architectural landscape was small, it is certainly significant. He would have no doubt also been pleased to know that it was certainly the cleanest public toilet I have ever visited. 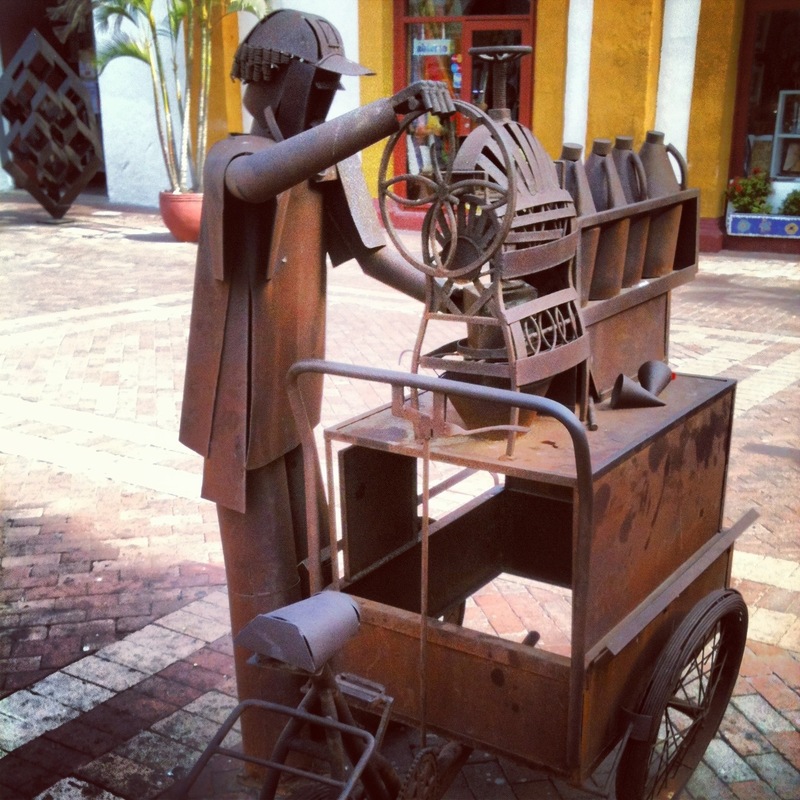 A metal sculpture depicting a seamstress in Plaza Pedro San Claver in Cartagena’s old town in Colombia. 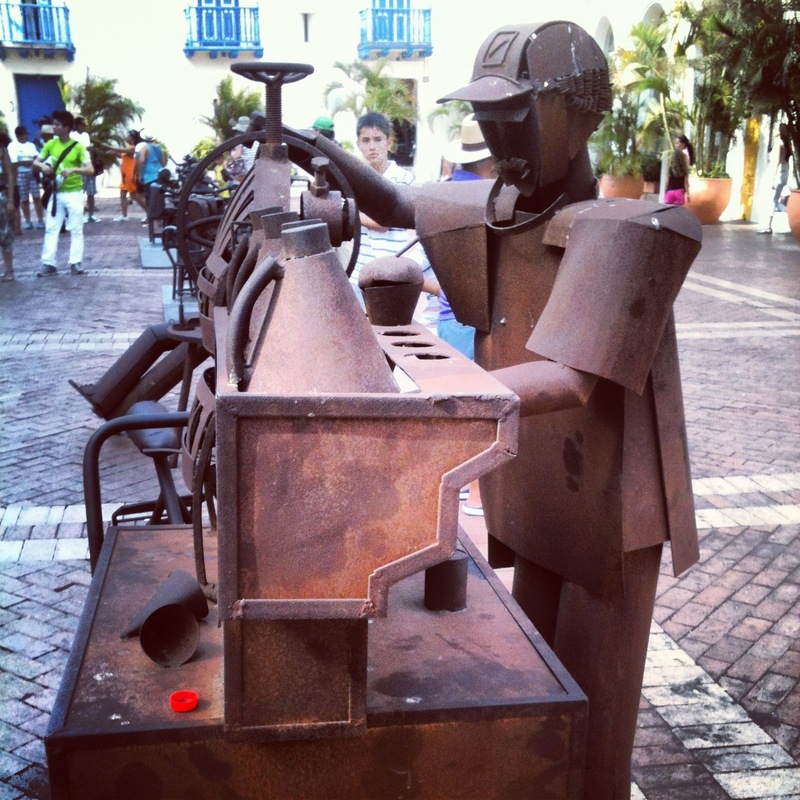 A metal sculpture depicting a shoeshiner beckoning customers in Plaza Pedro San Claver in Cartagena’s old town, Colombia. 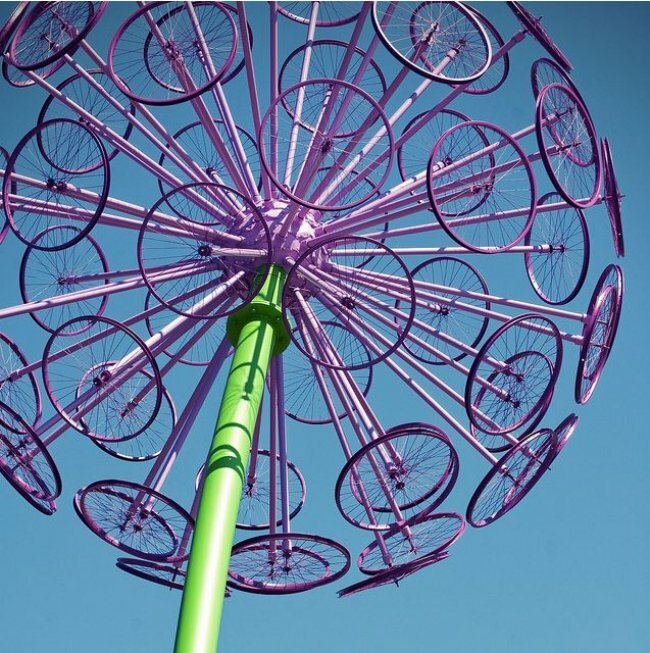 Bicycle Sculpture by Jake Beckman at the entrance to Morgana Run Bike Trail Cleveland, more information at the American Trails website. This is a beautiful art installation I saw in Terminal 1 at Changi Aiport in Singapore. 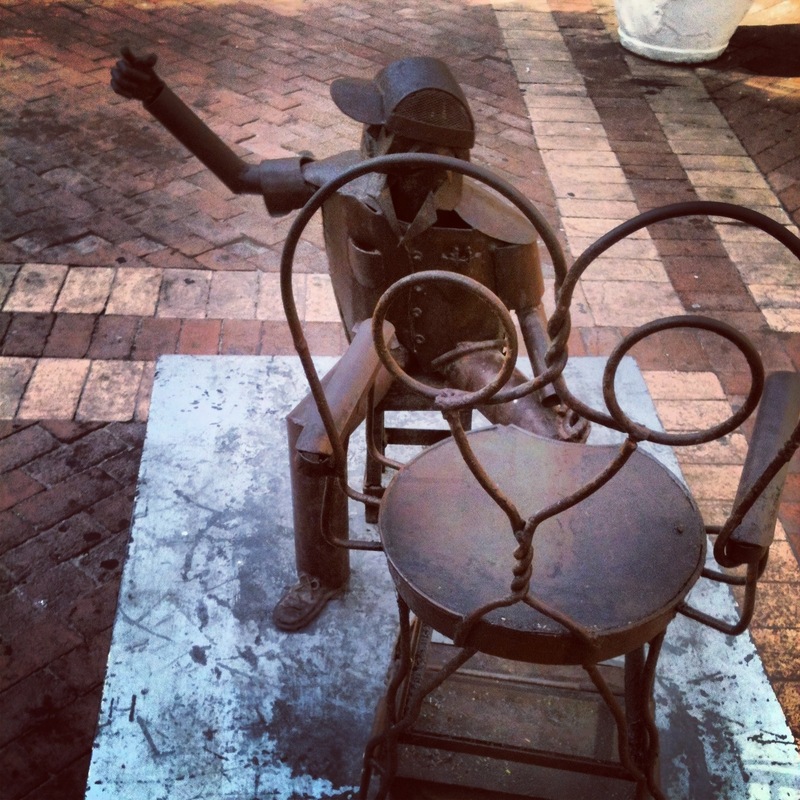 Although it has very little to do with recycling, I thought I would include it on the blog because of it’s sheer beauty and the way it links art and technology. “Kinetic Rain” consists of two symmetrical elements composed of 608 individual drops made of lightweight aluminium covered with copper. Each drop is connected with a very thin steel rope to a computer-controlled motor moving it precisely up and down. 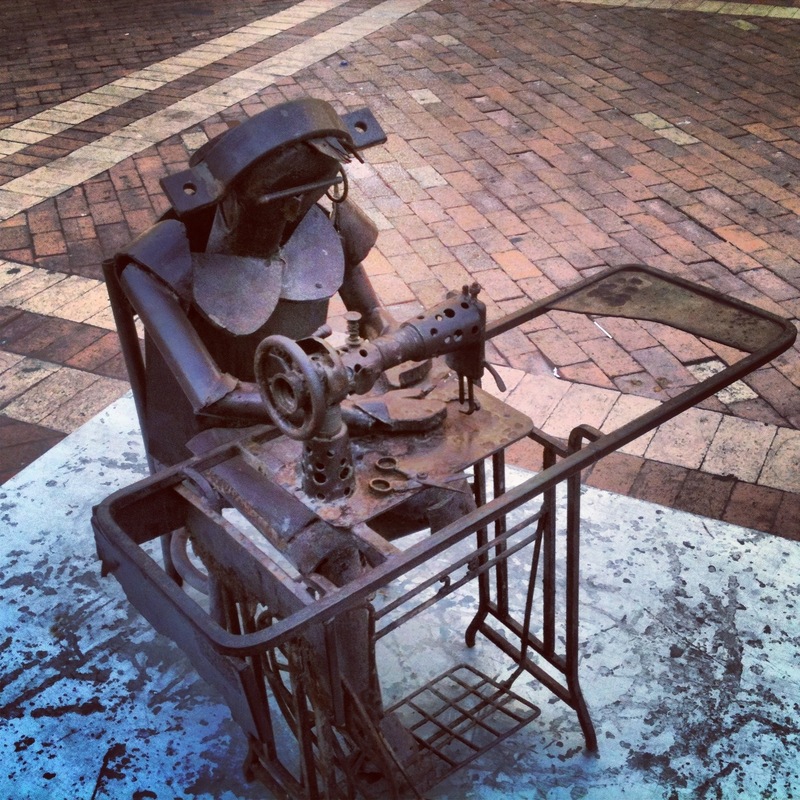 The sculpture was designed by ART+COM a Berlin based non-profit organisation which aims to explore the new mediums applied possibilities in the fields of art, design, science and technology. The installation is situated above the escalators, so it can be seen from underneath, above and from numerous different angles. This offers various different perspectives and visual experiences for the passengers passing through the terminal. 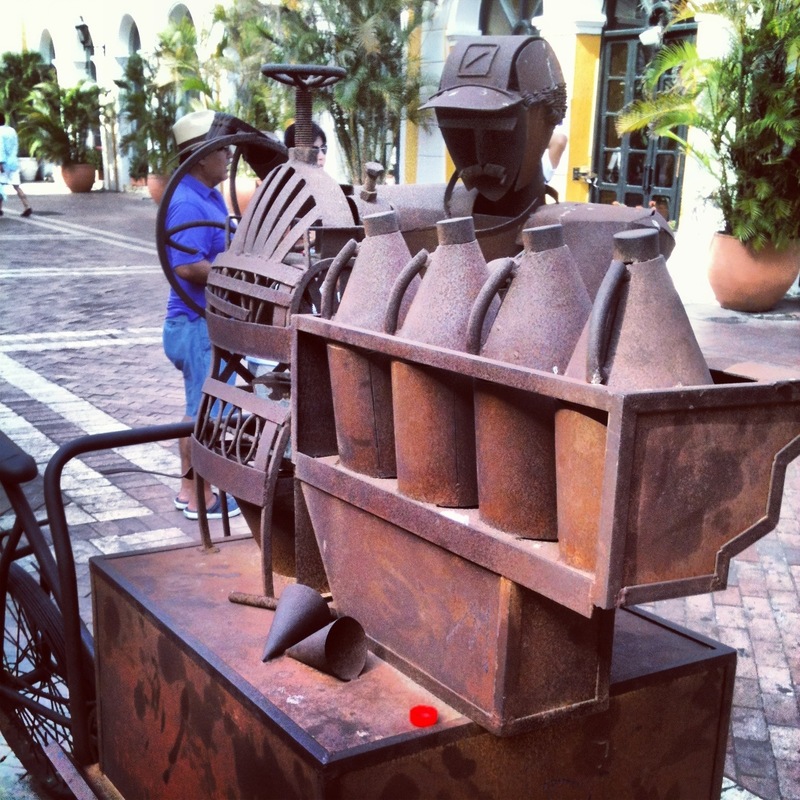 A metal sculpture depicting an ice cream seller in Plaza San Pedro Claver in Cartagena’s old town in Colombia. 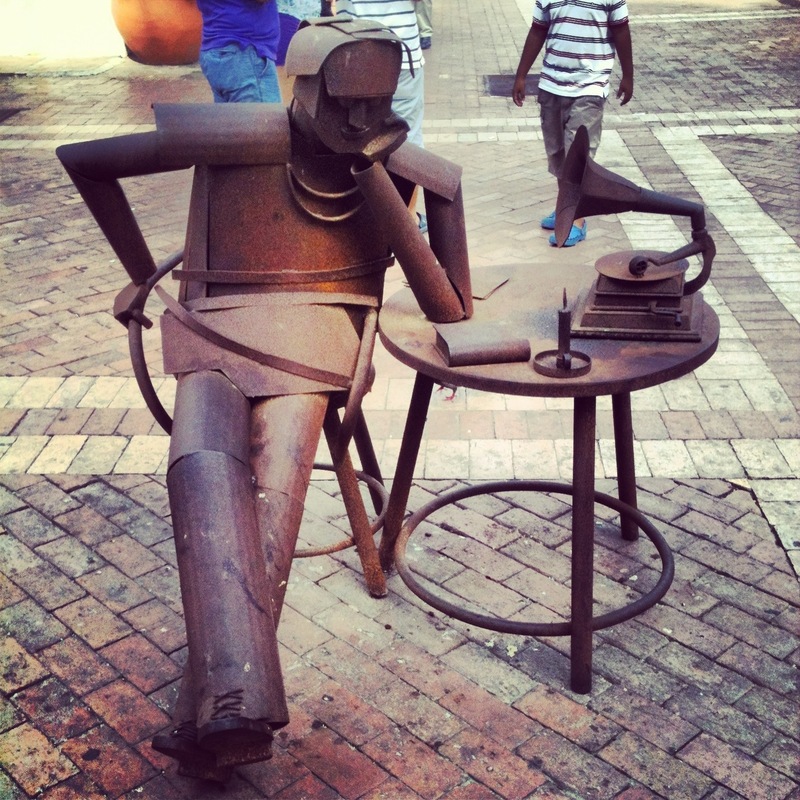 A metal sculpture depicting a man sitting on a chair listening to a gramophone in a square outside Iglesia de San Pedro Claver in Cartagena’s old town in Colombia.